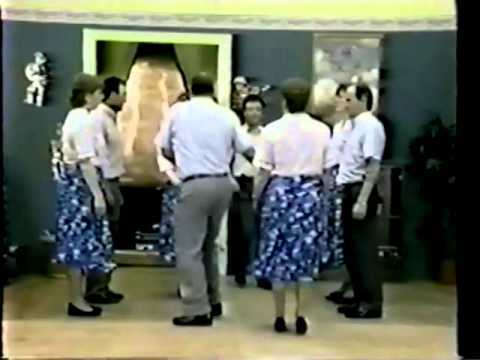 The Dance Of The Week for this week is a well known ceili dance An Rince Mor. It’s danced throughout the world for competition and fun and is an easy dance to learn. It’s a dance that’s good for any number of couples and especially fun when you have a large hall filled with spinning people. Click through for notes and video. Also don’t forget that shorter crib notes are available (for all dances) for use on the floor or any time you need a quick reference. The Dance Of The Week for this week is the Camp Set. It’s a fairly easy looking set but you won’t find much in the way of pictures or video online yet. If anyone has some, please let us know! Click through for notes. The Dance Of The Week for this week is a classic Irish set dance The Connemara Reel Set. It’s danced throughout the world and features some battering that takes practice to get right but is well worth the time. Click through for notes, videos and music references.